My family love York Maze. 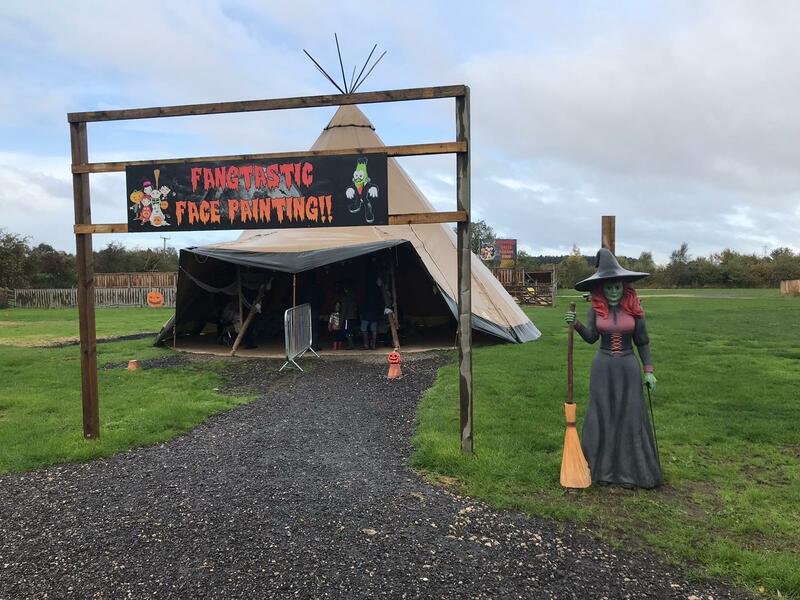 We have visited during October half term three times and it never disappoints which is why we were so excited to see what they had in store this year. As always, they had plenty to entertain the little ones, with activities and attractions such as: a vertical cliff face, Volcorno shoot, giant slides, climbing zone, jumping pillow, Phantomime, Haunted House of Cornfusion, Maze of Illusions, face painting, Ghostmania 2 Ride, pumpkin carving, Witches Grotto, Maze Treasure Hunt, Mineshaft Maze and more! Unfortunately, this year we did not get to explore every activity due to the mini mumblers being in tears for 90% of our day out. This was not the fault of York Maze, I repeat, this was not the fault of York Maze! 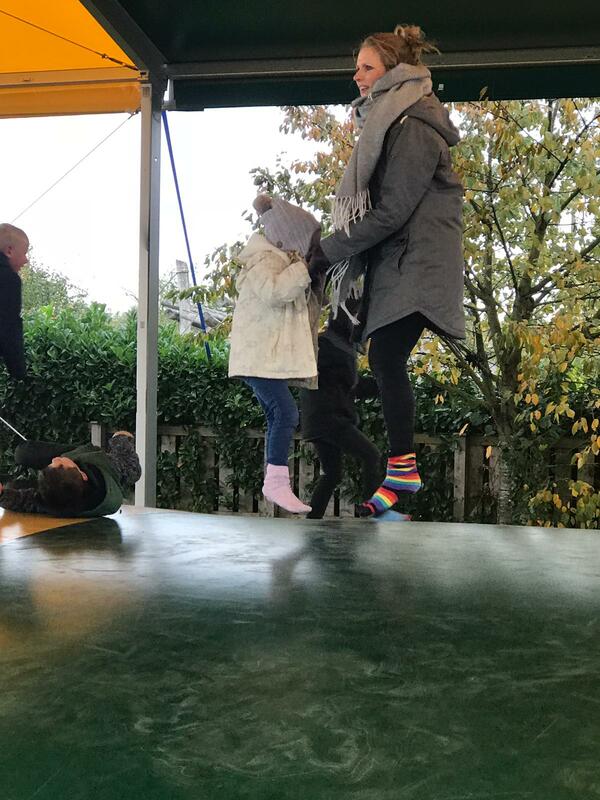 It’s been a loooong half term and my children were so ready for this week off, throw Halloween parties, soft play dates and late nights into the mix and with hindsight I should maybe have given them chance to rest and recover a little before our family day out. To put you in the picture…. none of us could feel our feet and this resulted in tears (the kids not me – although I felt like it), littlest mini mumbler fell over and bust her lip… tears again, after ten minutes of joy and giggles on the jumping pillow, biggest mini mumbler decided it was ‘too jumpy’… tears again, we headed for the cafe to warm up… tears again as biggest mini mumbler’s feet wouldn’t warm quick enough…. I think you’re probably getting the idea!? Even though me and Mr Mumbler were ready to throw the towel in by this point, we smiled and persevered and pressed on with the day. So what’s our verdict? 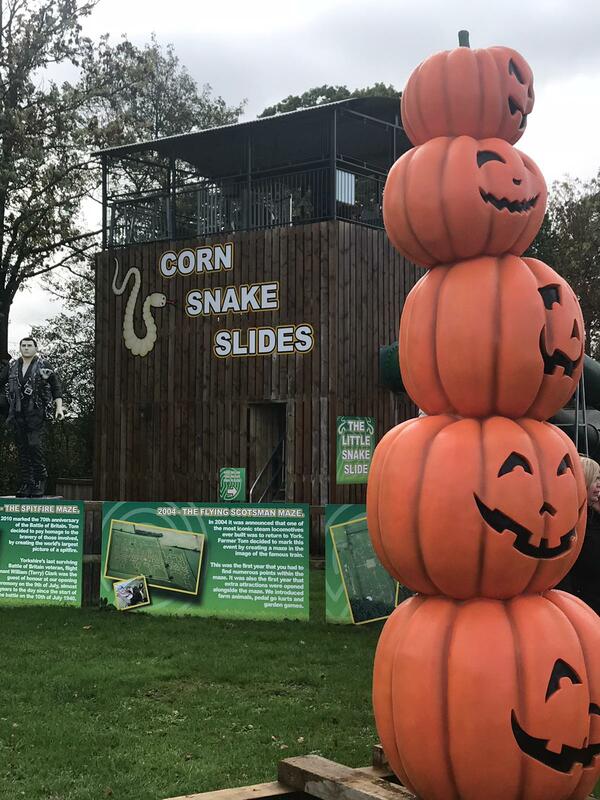 York Maze is still fab! 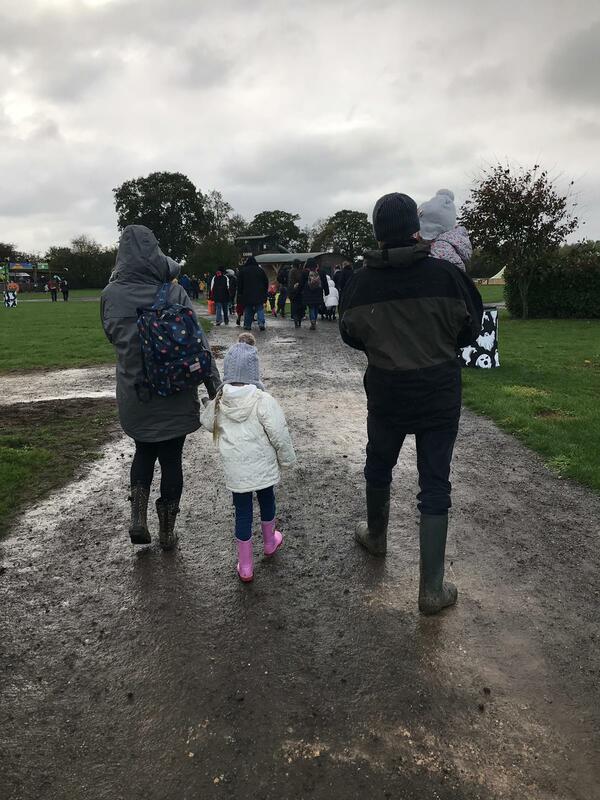 Like all outdoor attractions, the weather plays a big part in how your day turns out and obviously UK weather is unpredictable so good planning and plenty of hot choc stops are essential if the weather continues to be baltic this week. 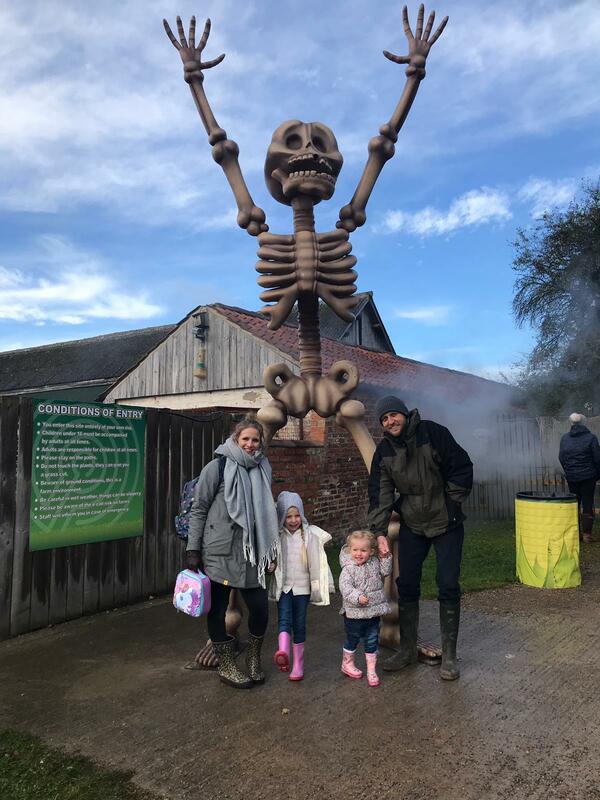 Having said that, some of the attractions are under cover so you can still have bags of fun on a drizzly day, especially if your children are more resilient than mine! 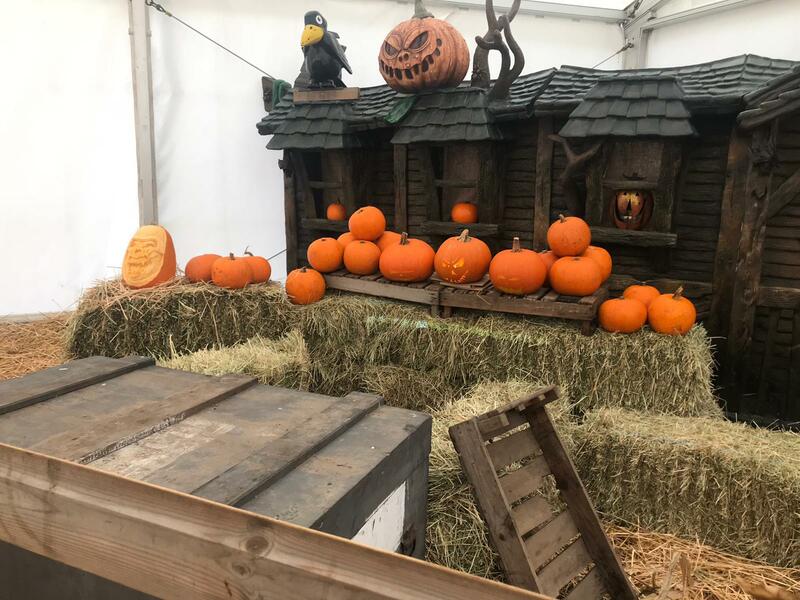 The maze is open from 10am-5pm until 4th November and there is plenty to do to fill a whole day. Food and drink options include The Kernel’s Kitchen and The Kernel’s Coffee shop. We took our own picnic as there are plenty of indoor picnic benches but we couldn’t resist some coffee and cake from the cafe too! They were scrummy and very reasonably priced. 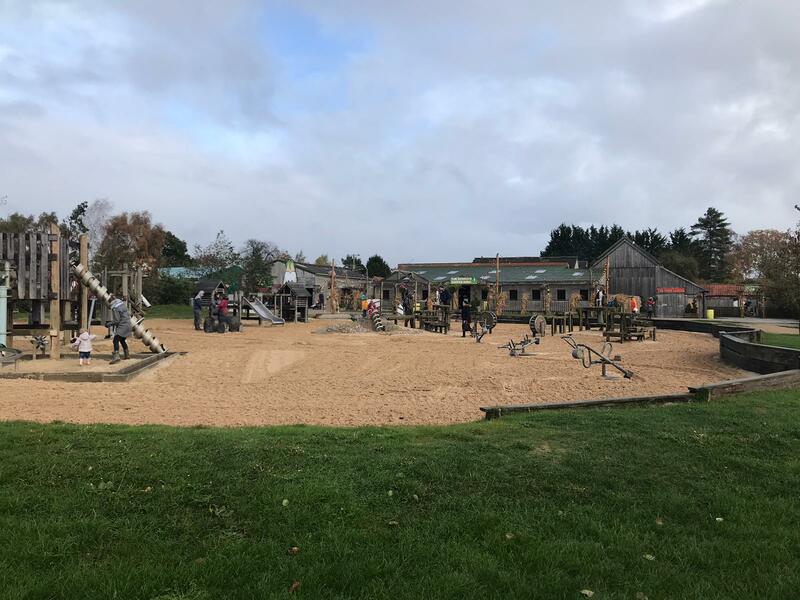 All members of staff we came into contact with were friendly and welcoming and made an effort to interact with our children which was lovely. 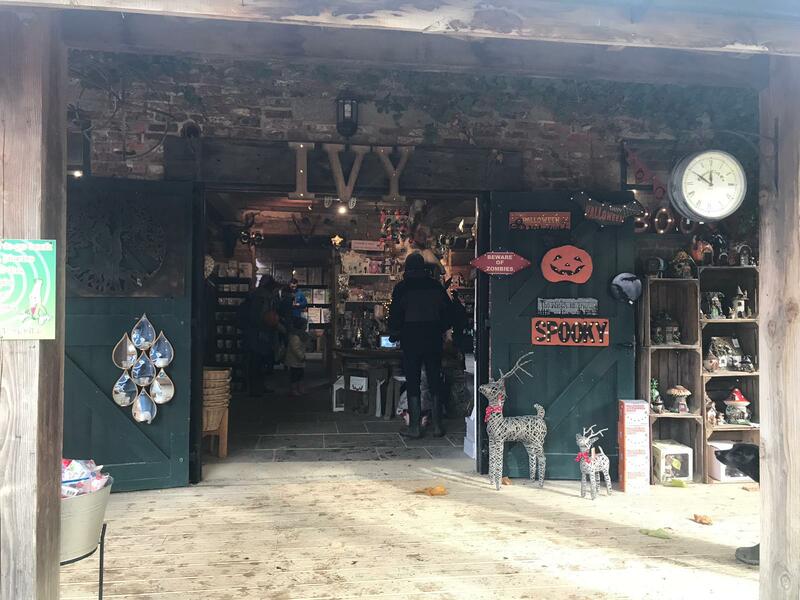 Have some Christmas gift ideas in mind and leave enough time to explore the gift shop- it’s fantastic! 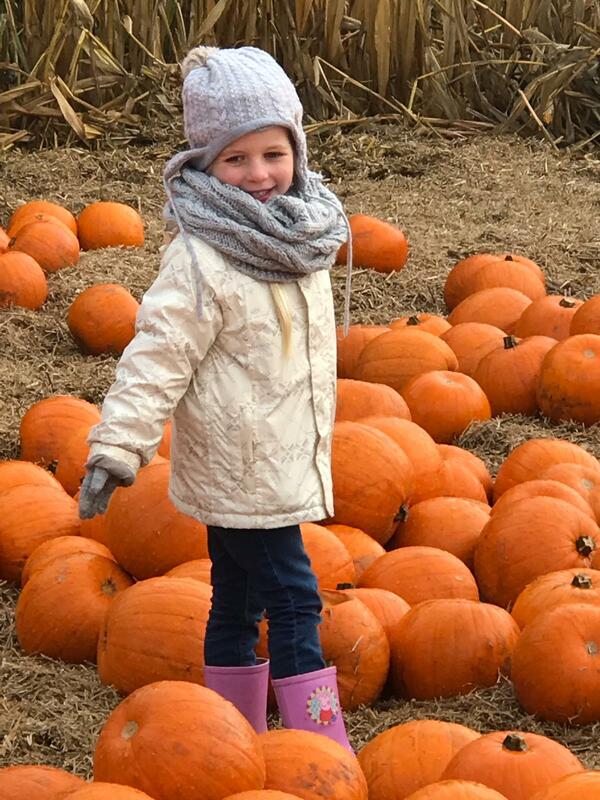 Take a buggy / pull along cart / strong person with you to carry your free pumpkins (one per child) as they are heavy and the pumpkin patch is a little walk from the car park. DO NOT jump on the jumping pillow if your pelvic floor isn’t what it used to be – I learnt the hard way! 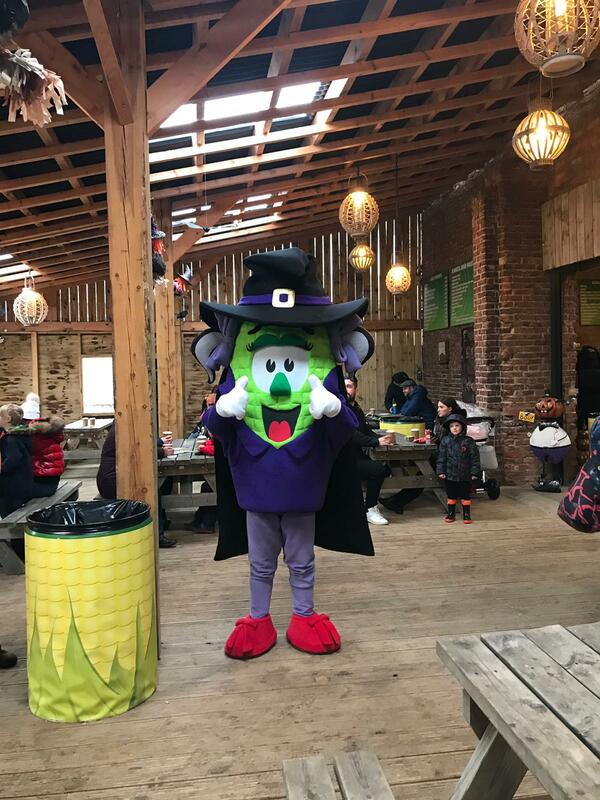 Thank you York Maze for having us today – despite the family dramas we had a great time.